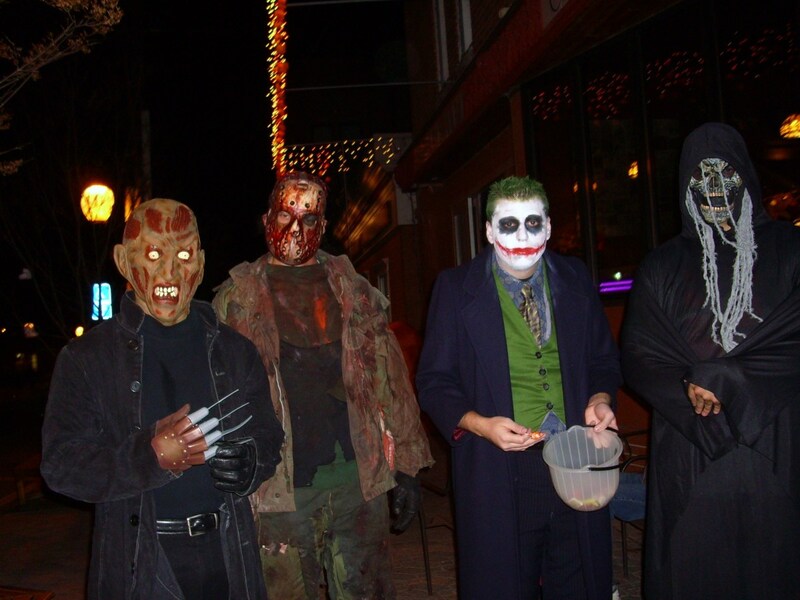 Every year, Halloween brings both a night of fun and a night of pranks, ranging in severity depending on the neighborhood and age group celebrating the holiday. In more urban areas populated by more teenagers and higher in criminal activity, mischief on Halloween or the night before is a rather common occurrence. If you are new to the neighborhood or simply unsure of what to expect, read on to discover what sort of trickery and mischief can take place on this popular nightly holiday. 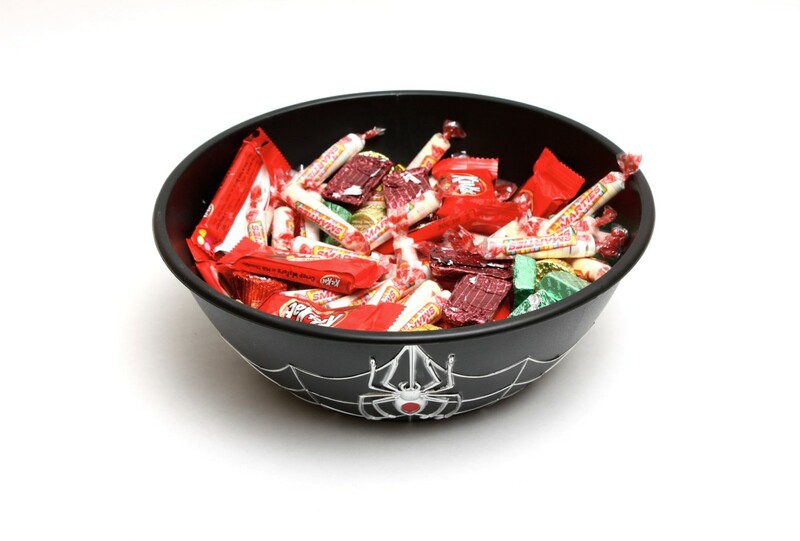 Many times, when families or homeowners are away on Halloween night, they leave bowls or buckets of candy outside their doorstep for potential trick-or-treaters to make up for their absence. As an act of good faith, they will write out and post a sign nearby saying something along the lines of, “Please only take one” or “Leave candy for others”. Depending on the crowd, this can go as planned; parents supervising younger children will often encourage or force them to only take one or two pieces of candy and move on. However, older children with less or no supervision can be more ruthless, and are more likely to take more than “just a few” or even help themselves to the whole bucket if no one else is around. After all, if no one is home, how are they going to get caught? If you plan on being away for Halloween, don’t feel too discouraged to leave out some candy - simply know that not every trick-or-treater will be willing to follow common courtesy. When you answer the door to pass out candy to kids in a plethora of costumes, it’s impossible to recognize everyone - some kids come around that don’t live on your block, or are friends of local residents looking for some extra goodies. What you might not realize is that the ninja you gave candy to around six o’clock may be the masked clown you give candy to an hour later. 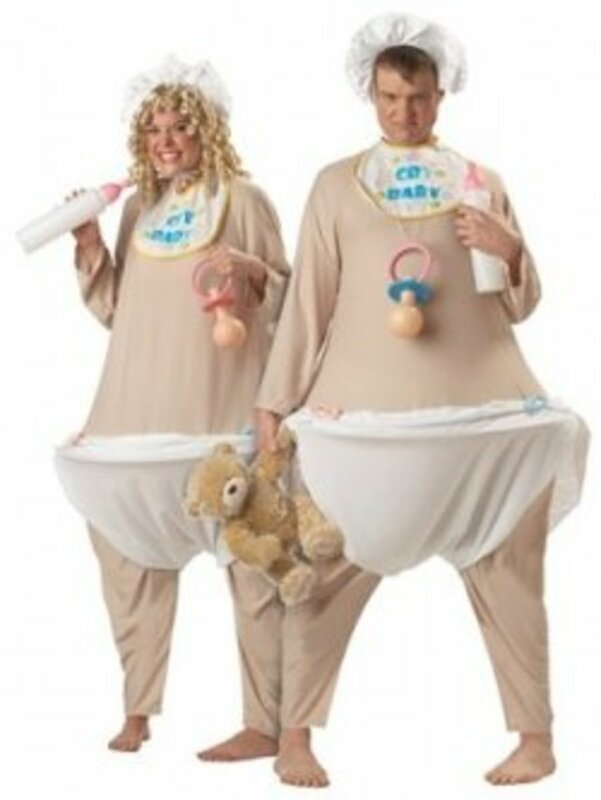 In neighborhoods where it is easy to walk around the block in costume and loop back home, it is just as easy to change into last year’s costume and do it all over again with an empty pillowcase. Obviously, this wouldn’t be expected of younger, supervised children, but don’t put it past a couple of older kids. This sort of thing used to happen around my old apartment complex when I was younger; while I wasn’t a participant, the trick seemed very easy to pull off. Which did you like more on Halloween as a kid, tricks or treats? On a holiday where children are encouraged to knock on doors and ring doorbells to collect candy, homeowners are much more inclined to be home and answer the door. However, if the neighborhood kids already filled their bags with goodies and have more time to spare, it’s not hard to imagine how effective a game of ding dong ditch would be. If you didn’t know, groups of friends will sometimes dare each other to approach someone else’s house, either that of a person they know or a complete stranger, ring the doorbell and run before the homeowner can open the door and see them. The prospect of having more fun this way is amplified on Halloween, where more people are home for the night and waiting to answer their doors; after all, the game just got much more challenging. While harmless, this sort of trick can get old after awhile, especially when you have been up and answering the door to dozens upon dozens of children all night long. When your night of passing candy is over - whether you are exhausted or simply ran out of goodies - it is best to turn off your outside lights and possibly any decorative lights you have set up as well. This is a sign to others - trick-or-treaters or otherwise - that you have closed down shop, per say. If it seems like no one is home, pranksters may be less likely to waste their time ringing your doorbell. As Halloween comes around, haunted houses and other attractions open up for the season and for good reason - people love to get scared. However, Halloween night can be a haunted walk of its own. It is common for homeowners participating in the holiday to scare trick-or-treaters as they approach the door for candy, simply for the fun of it (it is Halloween, after all). However, trick-or-treaters who have finished their rounds also enjoy running around and scaring others to experience some of this fun. This sort of mischief is to be expected; however, it is good for parents with younger children to be aware of this on their Halloween walks. Kids are less aware of how startled younger children and toddlers can get by a werewolf or a grim reaper jumping out of the trees or shadows at nighttime than adults, and are more likely to inadvertently upset younger children. Be sure to keep your young trick-or-treaters close at hand on Halloween. 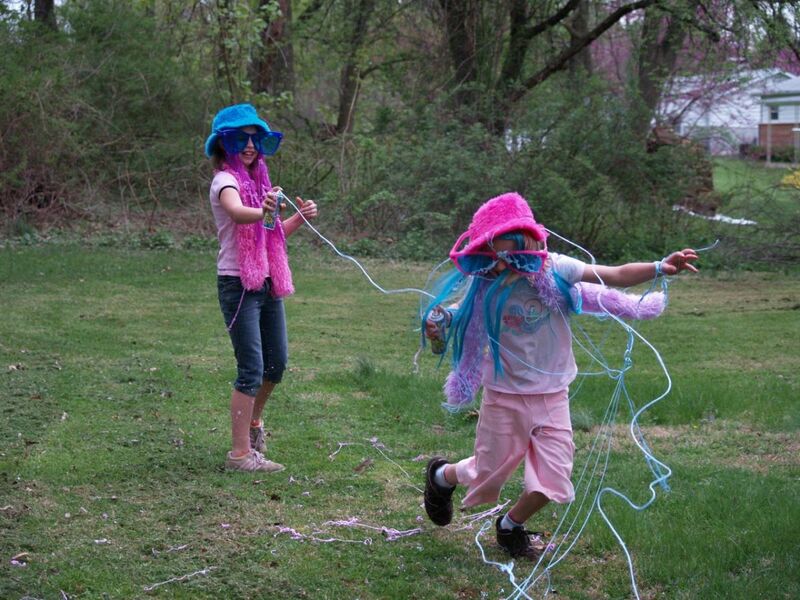 At parties involving children, it isn’t uncommon to see a few running around and spraying others with cans of silly string; on Halloween, it is no different. Since the stuff is essentially harmless (simply annoying), it is easier for children to get away with run-by silly strings without angering too many of their peers or adults. That, and the general availability of silly string in party stores and the party sections of stores makes it easy to find and purchase. Besides, a lot of parents would rather have their kids shooting silly string at each other outside and away from their living rooms. However, shaving cream is an easier to acquire and messier alternative. Sometimes, shaving cream can be damaging; whether sprayed near or directly at a vehicle, it can fade the paint if not removed in time. 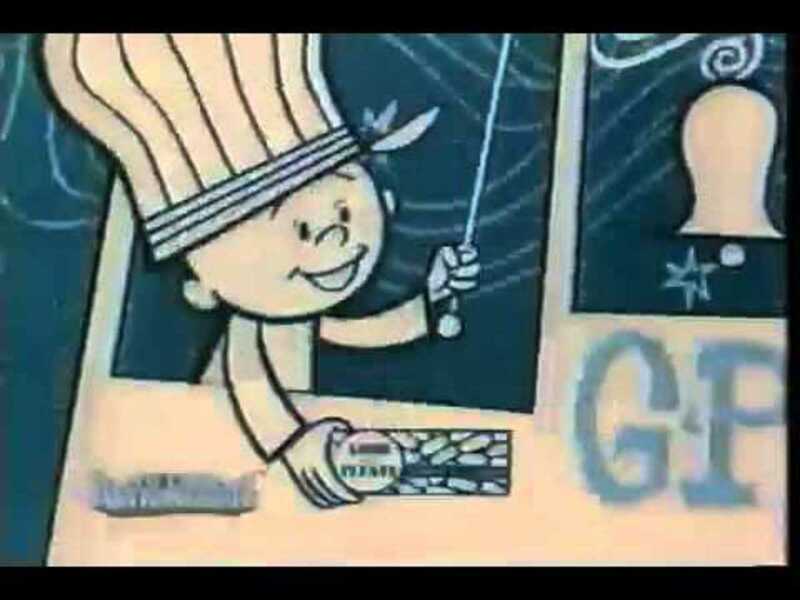 Furthermore, if left on a car long enough to dry, silly string can not only cause damage but become nearly impossible to remove (especially if allowed to bake in the sun). While kids may just be trying to have some fun, discourage the use of silly string (and shaving cream altogether) near vehicles or houses in general. It is easy for a car to become vandalized, even by accident, this way. Anyone who has carved a pumpkin knows that, depending on the complexity of the carved design, a lot of time and effort can go into creating this work of art. 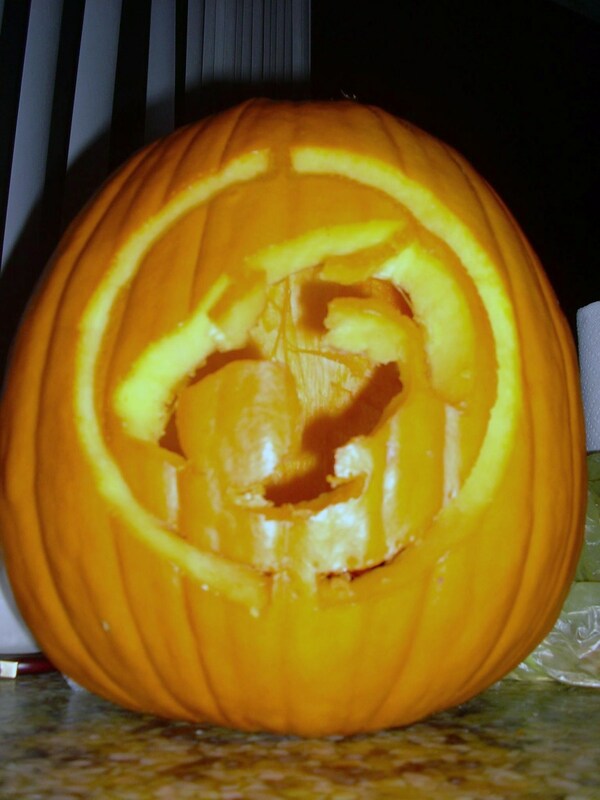 When lit from the inside by a candle or battery-operated light, a carved pumpkin can like spooky and fantastic. If you enjoy carving pumpkins every Halloween, it is best to get pictures when you are finished so that your artisan artwork is preserved immediately; believe it or not, a common practice of mischief around Halloween is the theft and destruction of pumpkins. The same way that mischievous teenagers enjoy driving around stealing garden gnomes and smashing mailboxes, troublemakers on Halloween sometimes revel in stealing pumpkins from houses or simply bashing them in. While more harmless than vandalizing someone else’s car or other trickery, it can be a real bother, especially to those who spent hours of their time carving the pumpkin or those whose children worked hard decorating their own. Almost everyone knows that, come Halloween, someone’s house is bound to be covered in toilet paper, or “TPed”. 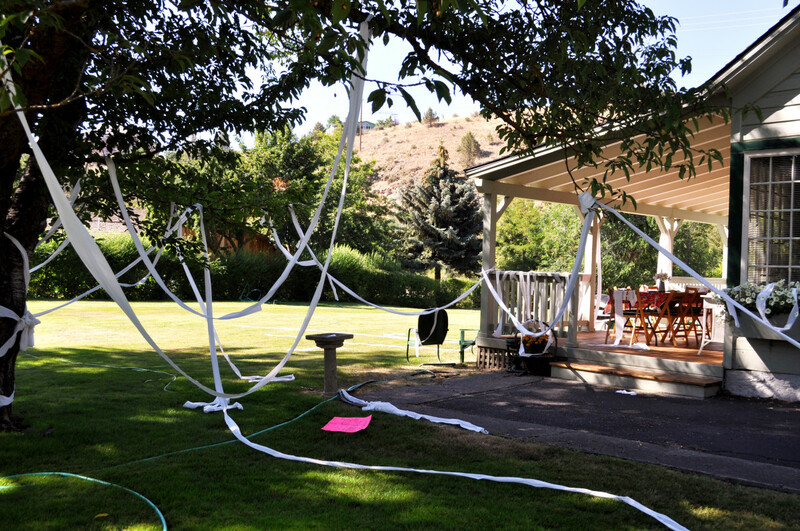 While an act of mischief, TP-ing someone’s house can also be a malicious act of revenge, given the mess that needs to be cleaned up afterward (especially if it rains afterward - nobody likes wet toilet paper). Essentially, the offender takes a roll of toilet paper and “decorates” the target house, car or yard. Oftentimes toilet paper will be wound around a tree and hanging from the branches or strewn across the lawn. Winding around tree branches makes it much more of a hassle to remove when discovered. While toilet paper does not damage anything, it is still a form of vandalism and, unfortunately, it can make an appearance on Halloween night in certain neighborhoods. One of the more vicious forms of vandalism on Halloween night, egging a person’s house or vehicle is less of a prank and more of targeting for revenge. When offenders decide to egg a house, they will oftentimes aim for the windows, perhaps in the hope of breaking them, and the door. The eggs might be freshly bought, or they might be old and rotting on the inside. As an older homeowner, the last thing you want to do in the morning is scrape and clean old splattered egg off of your siding and windows. You’d be especially infuriated to find your car covered in eggs, I’m sure. Personally, I have never experienced my house or any of my family’s cars being egged, let alone on Halloween night, but it does happen. 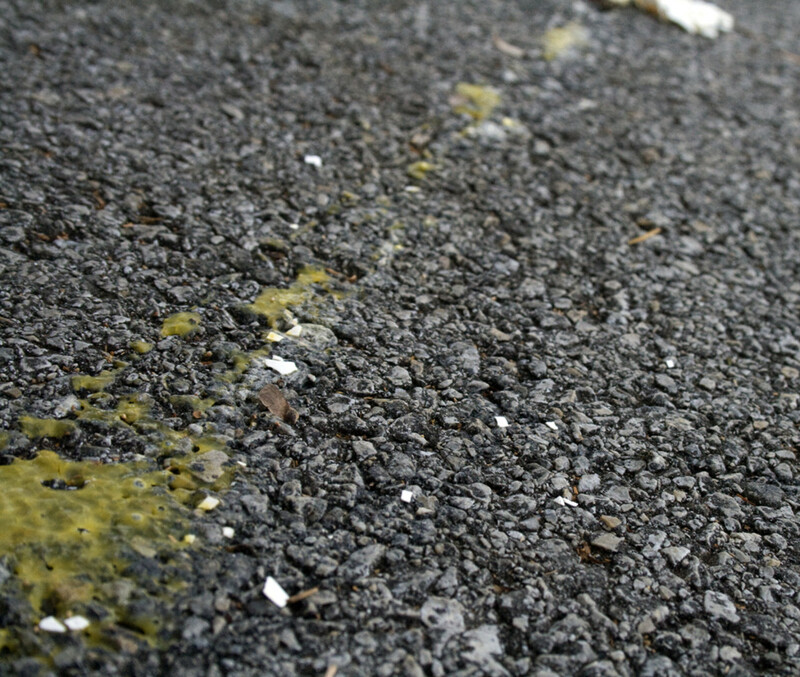 Search for images on the web of egged houses and cars, and you will find them. If you aren’t the nicest neighbor on the block, you might want to keep an eye out Halloween night! But, in all seriousness, if your house or property is the target of an egging, there isn’t much you can do beyond filing a police report about it. Vandalism is, in all fact, a crime. 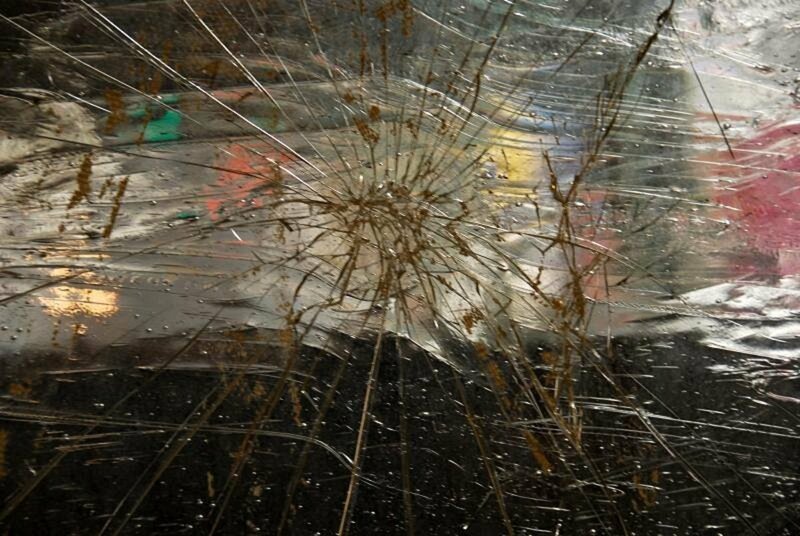 One of the bigger acts of vandalism that might be experienced on Halloween is the breaking of windows. As with anything else, an act this serious is most common in neighborhoods that have a higher volume of crime, vandalism or teenage mischief. It isn’t very likely that a group of angry trick-or-treaters are going to stomp on over and smash in your windows because you ran out of candy or don’t like Halloween. Nevertheless, vandalism does happen and, as mentioned above, is a punishable crime. If your house is the target of vandalism, from broken windows to egging to anything else, you should call the police. You should keep a record of when it happened and any other details so your police report can be as accurate and concise as possible. It is easier for kids to vandalize on Halloween because costumes and masks help conceal their identities. The police will do the best that they can, but keep this fact in mind. Depending on where you live and how old the local kids are, you might not experience any Halloween mischief at all; some neighborhoods don’t even get trick-or-treaters anymore beyond friends and family. Nevertheless, it is helpful to know what to expect, from the tame Halloween trickery to theft and vandalism. Whether you are out walking with your children on Halloween night or at home handing out candy, remember to be safe and alert this holiday. If your Halloween merely consists of passing out candy to trick or treaters, try any of these activities to spice up the season. @Deb4FlatTires That's terrible! I hope you don't have to go through that again. Great Hub Jessica! Very insightful. As a high school teacher, I have had my car egged a few times over the decades. Eggs are a runny and find their way into cracks and crevices that are impossible to clean. They stick like glue in no time and set up hard like concrete by the next morning. @billybuc: Halloween has died in my parent's neighborhood where I used to live - they don't even bother decorating anymore. Thankfully, the worst I have seen is the silly stringing. It seems to just depend where you live. Thank you for the comment! There are fewer and fewer kids with each passing year; we live in a good neighborhood, so vandalism isn't something we experience. 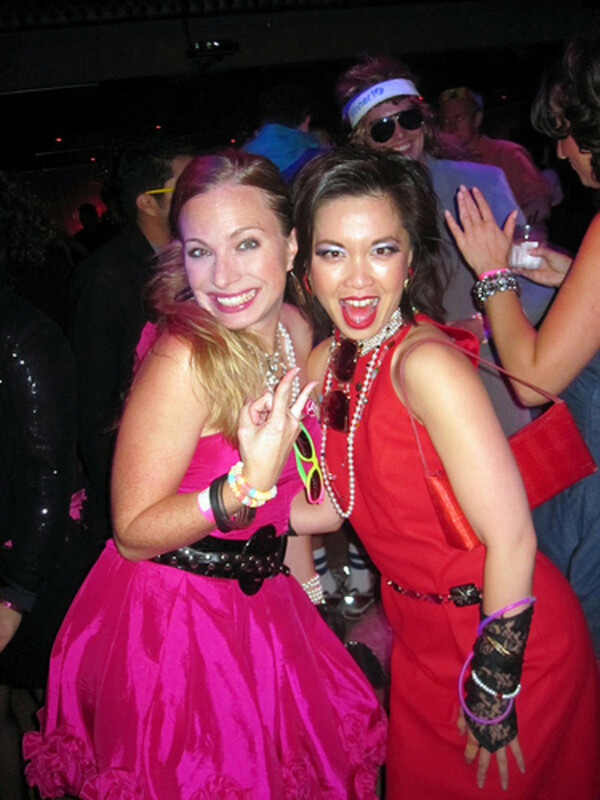 Having said that, I'll now cross my fingers for this year's Halloween. :) Good job!